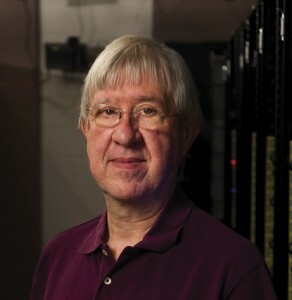 Alexander Szalay, the Alumni Centennial Professor of Astronomy and professor in the Department of Computer Science at the university, is the principal investigator on the Data Infrastructure Building Blocks, or DIBBs, project. The funding was awarded earlier this month and is part of a larger collaborative agreement between the university and the National Science Foundation’s Advanced Cyberinfrastructure division. 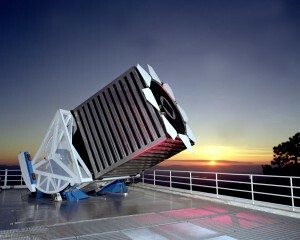 Partners on the project include the Sloan Digital Sky Survey (SDSS), the Virtual Astronomy Observatory, the GalaxyZoo project, the San Diego Supercomputer Center and Towson University. Additional collaborators include scientists from Microsoft and Google. The SDSS collaboration operates a dedicated 2.5 meter telescope at Apache Point Observatory in New Mexico which surveys a large part of the sky and makes its findings available online to astronomers and non-scientists alike. In the 12 years since the telescope has been in operation, it has captured deep, multi-color images covering more than a quarter of the sky and created three-dimensional maps that contain more than 1.8 million galaxies and 320,000 quasars. Johns Hopkins became a part of the SDSS collaboration in 1992. The data obtained from the project has gone into SkyServer, a public database managed by SDSS and designed and built at Johns Hopkins. Currently about 40 percent of the world’s professional astronomy community is using the JHU team’s software. Based on citations, the project has become the most used astronomy facility of the world and has transformed the way astronomers work. Its database has attracted an additional 4 million non-scientist astronomy fans since its launch. Advances in technology allow researchers to collect and store large data sets, however, as these data sets continue to grow to unprecedented sizes researchers are faced with new challenges to make these data sets more usable. There is a need for a flexible and reusable framework that allows for more efficient viewing and analysis of the data and a platform to better facilitate new discoveries within these data sets, said Szalay. Scientists have to make sense of the overabundance of information by asking intelligent questions with the hope of receiving more refined answers. The goal of DIBBs is to operate the SkyServer for the community and update and modify its components of the system so that it can be easily reused by other areas of science, like turbulence research, environmental science, neuroscience, genomics and radiation oncology. Of the funding, $7.6 million has already been awarded. The remaining $1.9 million for the fifth year is contingent on a successful 18-month and 36-month review from NSF. The DIBBs project also has a community outreach component that will build on the existing online educational materials and teacher guides available on the SDSS website. This new framework will make it easier to integrate existing and new educational tools and lesson plans into SDSS, other websites or to launch new big data sites. Data exploration tools for citizen scientists will be optimized and seamlessly integrated into current and future citizen science projects. Szalay, who is also director of the university’s Institute for Data Intensive Engineering and Science, received the DIBBs funding along with the following collaborators: Randal Burns, associate professor of computer science; Charles Meneveau, the Louis M. Sardella Professor of Mechanical Engineering; Steven Salzberg, professor at the School of Medicine, Bloomberg School of Public Health and at the Whiting School of Engineering and Aniruddha Thakar, principal research scientist with the Center for Astrophysical Sciences. More than 20 people from across the university are working on SDSS and DIBBs. This research was supported by the National Science Foundation grant number ACI-1261715.